Are you ready to start your keto lifestyle? Let us help you calculate your personal macros and how much fat, protein and carbs you should eat based on your personal information. Which System of Measurement Do You Prefer? Body Fat Percentage and Body Mass Index (BMI) are 2 different things. If you are unsure about your body fat percentage, check this guide here! Having little or no physical activity, being somewhat inactive, typically an office job. Light exercise (20 minutes per day, 1-3 times a week) or having a retail job with a good amount of walking. A lightly active day job with physical labour such as a waitress or exercise 3 times a week. A very active day job such as construction workers or intense amount of exercise 5-7 times a week. It's NOT recommended to go above a 30% calorie deficit (for weight loss) or above a 15% calorie surplus (for muscle gain). If you want to lose weight, try between 10%-20% deficit. For muscle gain, try 10% surplus. How many net carbs do you want to eat? For ketogenic diet, your daily carb intake should be 5% or less of your total calories consumed. This works out to be between 20g -25g net carbs a day for most people. If unsure, just put 20g. For more details on net carbs, click here! Your Protein Ratio: How much protein do you want to eat (g/lb of lean body mass)? Protein is very important but you don’t need to overconsume it on a ketogenic diet. To keep it simple, stay between 0.7g-0.8g to maintain muscle and between 0.8g to 1.2g to build muscle. If unsure, start with 0.8 because it works well for most people. The unit here is gram per pound of lean body mass. For more details, read this guide. You need 0 calories from 0g net carbs, 0g protein, and 0g fats to achieve your goal. How Does the Macro Nutrient Calculator Work? Given that the keto diet is relatively strict, you need to make sure that you know how to calculate and track your macros. This is essential if you want to make sure you’re doing everything correctly, and that you’ll reach ketosis and stay in it. So how do you calculate your macros? You can either do that manually or use a calculator. 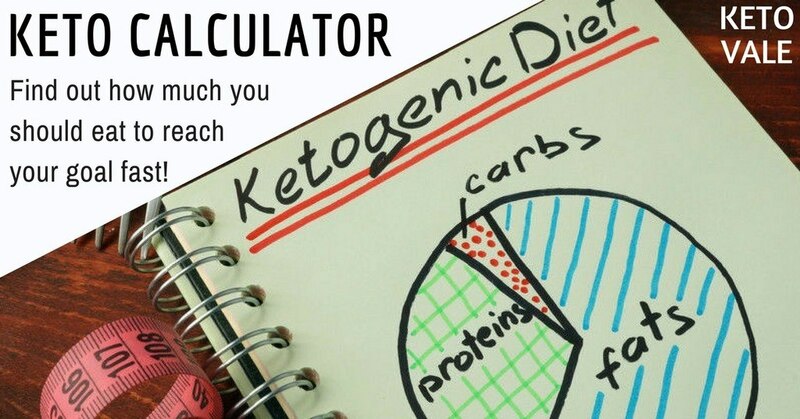 If you want to do that yourself, it will help you understand the keto diet better, however, it’s important to make sure afterward that you have the correct numbers, so it’s always good to use a calculator as a backup. For those of you who don’t feel like doing all of these calculations manually, you can directly use a calculator, which will get the job done for you. That’s why we have created this calculator: you just need to type in your height, weight, age, and information on your goals, including your protein preferences, and we’ll calculate the rest for you. And then you’ll be ready to dive in and begin your keto journey! Once you have your macros, you need to start weighing and tracking your food, to make sure you’re following your macros correctly, and to be consistent. If you do that, you’ll soon start noticing results! What is BMR and How Do We Calculate It? BMR is your basal metabolic rate or the amount of calories you spend when you’re at complete rest. Any activity (day to day activities, exercise, etc.) is added to this amount afterward. In order to calculate your BMR, we are using the formula by Mifflin-St.Jeor, which is the gold standard at the moment, and was introduced in the 90s (1, 2, 3). ~ women: 10 x weight (kg) + 6.25 x height (cm) – 5 x Age – 161. You have probably seen each one of these terms mentioned in a number of articles, and while they might seem confusing at first, they’re actually pretty simple – and important. BMR is your basal metabolic rate, or how much energy you spend if you’re resting, i.e. if you do absolutely nothing the whole day. TDEE is short for total daily energy expenditure, or the total amount of calories you burn each day. Of course, this number will vary every day, based on your activity level; however, what you need is an estimation, based on whether you have a sedentary job and on whether you’re working out (and how often). Now, you might be thinking that your TDEE is surely higher on days when you’re more active and lower on days when you’re truly sedentary. We advise, nevertheless, to always stick to the same number of calories, regardless of whether it’s a workout day or not, just for the sake of simplicity and ease. It’s important to know that dieting is not about being 100% precise (which you cannot be), but rather about starting off with a good estimate and working with it, by taking into consideration how your body is reacting to general nutritional and behavioural trends, and by tracking your food. EAT – exercise activity thermogenesis – the energy you burn during exercise. BMI, on the other hand, is your body mass index, and it’s a measurement derived from your height and weight. There are a lot of BMI calculators online, and they can give you a general idea about whether you’re within a healthy weight range for your height. Nevertheless, BMI is not a precise reflection of your health, and it can be inaccurate, for example for people who are very muscular – they might be “overweight” according to their BMI while having a low body fat percentage. Do You Need to Know Your Body Fat Percentage to Obtain an Accurate Result? In order to have the right macros, you need to have an idea about your body fat percentage. This is necessary because the amount of protein you should consume is calculated based on your lean body mass (LBM) rather than on your total body mass (which is LBM + fat). So if you weigh 150 pounds and are at 30% body fat, your lean body mass is (150 – 30%) = 105 pounds. ~ and a DEXA scan (the gold standard, but rather expensive). For more information on each of these methods, click here! How Many Carbs Should You Choose to Get Started? In order to stay in ketosis, the most important condition is to limit carbs. While the amount of carbs allowing you to consistently stay in ketosis will vary from person to person, the variations are minimal – to be sure that you’re doing things correctly, you should limit carbs to 20-25 g net carbs per day. If you’re unsure what to put in the calculator, just leave the default value to 20. How Do You Figure Out How Much Carb, Fat and Protein To Eat? Carbs: 20g net carbs daily will work for most people to keep them in ketosis. Your daily carb limit should come from vegetables. For a detailed guide, click here! Protein should be within the range of 0.68 to 1 g per lb of your LBM (lean body mass). Highly active individuals should go for the higher end of the range; for detailed guidelines on protein, click here! Fat is where the rest of the calories should come from, once you subtract the calories from carbs and protein – you need sufficient energy from food in order to function properly. For more details on how much fat you should be consuming when doing keto, click here! Do I Need a Caloric Deficit To Lose Weight? In short, yes, you need to be in a caloric deficit in order to lose weight: in order for your body to start using your fat stores, you need to provide it with less energy than what it needs – the difference will come from your own energy stores, i.e. your body fat. The principle of “calories in – calories out” is something you need to stick to if you want to be successful with weight loss. On keto, it’s less of a challenge to stay in a caloric deficit than on other diets, as this way of eating has a natural appetite suppressing effect. Additionally, you’ll be consuming lots of nutrient-rich, whole foods, which are generally a much better option for keeping you full and satisfied. So, yes, you need a deficit, but it’ll be easier to stay in it if you’re following a ketogenic diet. 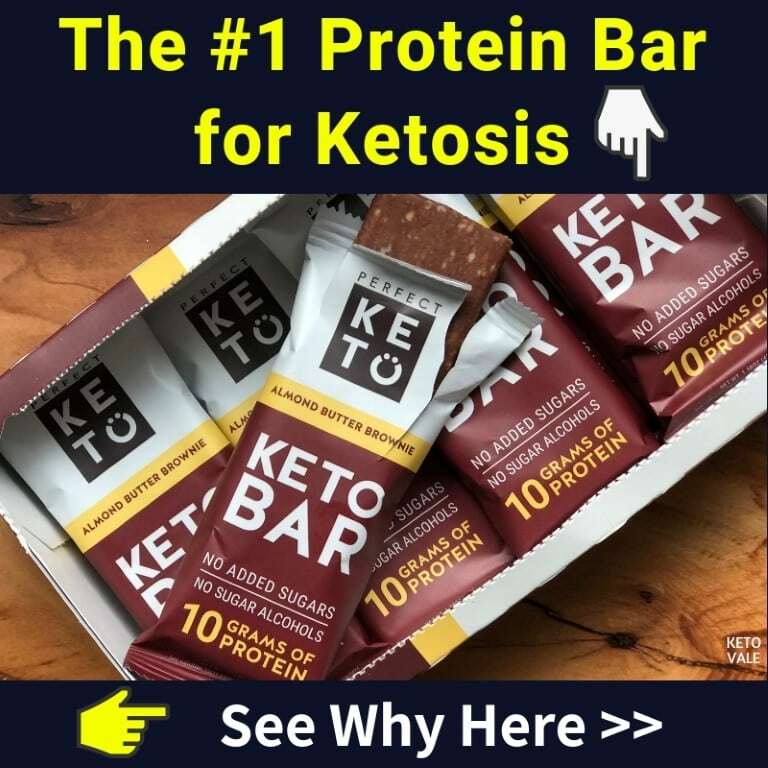 Yes, you could definitely gain muscle on keto – the most important prerequisites are, first, to eat sufficient protein and second, to do some sort of resistance training. If you wish to gain muscle on keto, you need to stay on the higher end of the protein range of 0.68 to 1 g per pound of LBM, i.e. go for 0.9 or 1 g per pound of LBM. Gaining muscle while being in a deficit and losing fat will be slower, but it’s certainly possible, especially for people who have a lot of weight to lose, and also for people who are just starting out – in the beginning, your body adapts quickly to the new stimuli (i.e. weight training) and puts on muscle mass rather easily; this phenomenon is sometimes referred to as “newbie gains”. Once you’re past that initial phase of quick adaptation, you will still gain muscle with adequate nutrition, but at a slower rate. You should recalculate your macros at every 5 pounds lost (approx. 2.5 kg). That’s necessary because the less you weigh, the less energy you spend, and therefore your daily caloric needs will be slightly lower. Do I Need To Follow My Macros Closely? In order to be successful, we advise you to follow your macros as closely as possible, while sticking to the principle “Carbs are a limit, protein is a goal and fat is a lever”. This means that you should do your best to not go over your daily carbs while hitting your protein consistently, and using fat as a lever to keep you full. You don’t need to hit your fat macro every day, if you’re not hungry. It’s important not to fall too low on it, and as fats are essential for proper hormonal function, and also to make the diet sustainable in the long run. Nevertheless, if your allotted fats for the day are at 100 g, it’s completely ok to consume 70 or 80 g on some days, if you’re not hungry. You don’t need to be precisely at 20 g net carbs every day, either – a variation of 5-7 g in either direction is okay. Be mindful of hidden carbs, though, and make sure that you’re tracking everything. Make sure to get your carbs from nutritionally rich food, such as vegetables. Protein is necessary so that you don’t lose muscle, and we recommend being consistent with your daily protein consumption – if you go a bit higher on the protein macro some of the days, it’s not a big deal, but try not to go lower day after day. Should I Track My Macros? And if Yes, How? Yes, macros need to be tracked precisely – the keto diet is relatively restrictive, which means that you cannot just estimate the amounts of food you’re eating and rely on your intuition. You need to track everything precisely and make sure that you’re not going over your daily carb allowance, as well as over your daily calories. In order to track the food you’re eating, you need to weigh your food with a food scale, and then log it in a tracking app. You can buy a scale online or at a local convenience store; the basic ones cost around $20 or less. Regarding choosing a good tracking app, there are plenty of those, and we have covered the best ones in this list of keto diet apps. Just pick one and be consistent about tracking. Food needs to be measured raw, in order to avoid mistakes due to the loss (or addition) of moisture. Now that you know how the calculator works, give it a try! #3 – track your food & follow your macros day after day. And that’s it! If you’re consistent about it, the results will follow. If you have any questions about the calculator which you didn’t see answered here, let us know – we’d love to hear from you (and help you out).